Cocaine is a highly addictive and illegal recreational drug that has a wide variety of well-understood effects on the body. The drug produces euphoria, which is described as a feeling of pleasure and an extreme sense of invincibility, often leading to abuse of the drug and negative health consequences. Cocaine users develop a tolerance over time and report that they are never able to achieve the "high" they felt the first time they used the drug. As tolerance to cocaine develops, most users say that the euphoric feeling they get with repeated use is not as intense or as long-lasting as it was with early use, even with escalating doses. Which often leads to further physical and mental health problems. Cocaine is a strong central nervous system stimulant that affects the way the brain processes dopamine, a naturally produced neurotransmitter that is associated with regulating pleasure and muscle movement. Cocaine interferes with the brain's reabsorption (removal) of dopamine, prolonging dopamine's action, which produces a variety of effects. Cocaine works almost immediately, but its effect also causes the body to correct the excessive dopamine by a compensatory decrease in dopamine in the brain. This results in a deficiency of dopamine, and a craving for the effect. Many users deal with this feeling by using more cocaine, which creates a cycle of use and withdrawal. These experiences can last anywhere from a couple of minutes to a few hours, depending on the dose and method by which the drug is taken. Repeated cocaine use can cause a variety of health effects on the body. These effects can happen right after using cocaine, or they can occur even after the drug wears off. Some of the long-term effects and symptoms associated with cocaine use are related to the dosage and method of use. Cocaine can be snorted, injected into the skin, or smoked. The method of cocaine use not only affects the length of the high, but it also comes with certain risks that further exacerbate long-term use symptoms. When cocaine is injected, the euphoric feeling can last from 15 to 30 minutes. With chronic injections into the skin, cocaine can cause severe vasoconstriction (constricted blood vessels) that may prevent blood flowing into the tissue, resulting in severe tissue damage. The effect on the body can include severe allergic reactions, and increased risk for contracting HIV, hepatitis, heart infections or sepsis (a blood infection). Since cocaine is often ‘cut’ with toxic substances, it can cause abscesses, collapsed veins and even damage to the heart, liver, and brain. When cocaine is smoked, the high may last only five to 10 minutes. Risks include breathing difficulties, inflammation of the lungs, a chronic cough, bronchitis and may lead to lung or throat cancer. When cocaine is snorted, it tends to reach the brain at a slower rate than smoking it and gives a milder euphoria. Health effects of snorting cocaine include a chronically runny nose, nosebleeds, loss of smell, hoarse voice, and problems swallowing. Long-term effects commonly seen in chronic cocaine users include a damaged nose called “septal perforation” or a “hole in the septum,” which happens when repeating snorting of cocaine damages the nasal lining and the structure (the nasal septum) that separates the nostrils. This condition is also referred to as "coke nose" and leads to crusting in and around the nose, foul secretions, and whistling with nasal breathing. When used in higher doses, cocaine can lead to overdose (a condition where there is more of the substance in the body than the individual can cope with). Injecting cocaine increases the risk of overdose, as users often do not know the strength or purity of the cocaine being used. Because cocaine affects the heart and respiratory system, an overdose can cause death, especially when you inject or smoke it. The National Institute on Drug Abuse reports that from 2000 to 2016 there were 10,619 cocaine overdose deaths nationally. Deaths from a combination of cocaine and opioids have more than doubled since 2010, and deaths involving cocaine alone have increased by 9 percent. While cocaine abuse is a well-known problem, the drug can result in such a strong addiction that users often continue to abuse it even after having suffered serious problems, such as seizures or heart attacks. Often, recovering from drug addiction requires professional treatment, medical supervision, and methods of accountability. Gunja A, Stanislawski MA, Barón AE, Maddox TM, Bradley SM, Vidovich MI. The implications of cocaine use and associated behaviors on adverse cardiovascular outcomes among veterans: Insights from the VA Clinical Assessment, Reporting, and Tracking (CART) Program. Clin Cardiol. 2018 Jun;41(6):809-816. doi: 10.1002/clc.22961. Epub 2018 Jun 9. What Does a Cocaine High Do to Your Body? How Can You Reduce the Risks of Cocaine Use? Do You Know the Health Effects of Commonly Used Drugs? 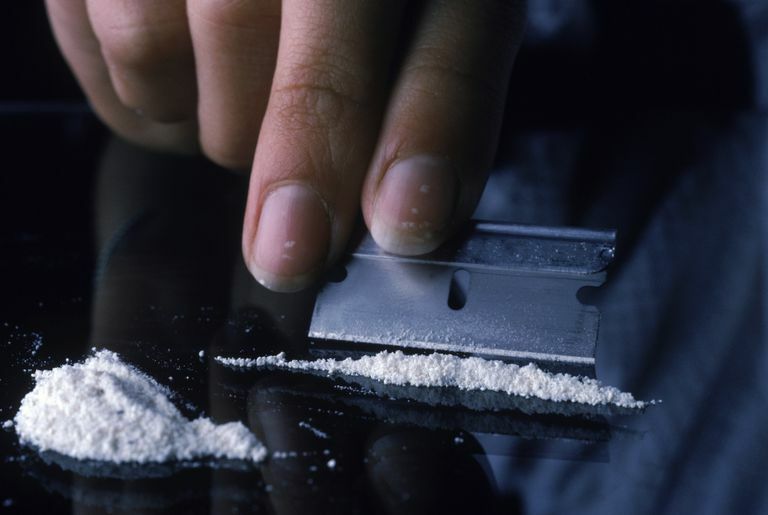 Is Cocaine More Than Just a Street Drug?